Why upgrade your insulation? Because by doing so you will improve the efficiency of your a/c unit, and that will make it last that much longer. This is also one of the few upgrades you can do on your home that will immediately lower the cost of your energy bill. When do you want to upgrade your insulation? When you have an odors, see damage, your electric bills are larger than you feel they should be, or notice a lot of dust in the rooms underneath your attic. 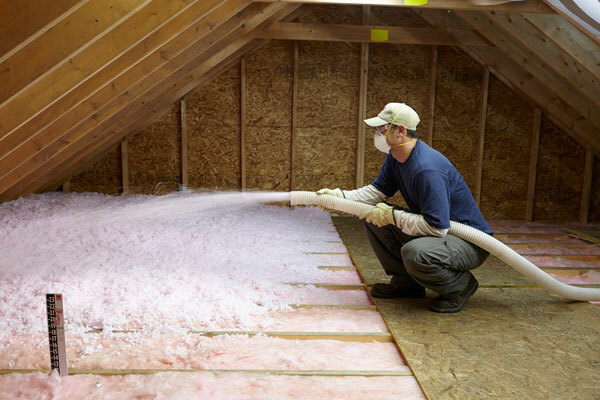 Why go with blown in insulation for your Oklahoma City home? Blown in insulation is a better choice as it comes out in smaller chunks so that it fits into corners and crevasses. It easily lays on top of wires, vent bumps and the many other items you find in your attic. There are two different types of blown installation fiber glass and cellulose. While both have the same R ratings cellulose comes from recycled newspaper and fiber glass comes from sand. We offer both products to you and will be happy to let you decide on what is blown in your home. Our attic insulation services in the OKC area will help ensure that your attic has a healthy amount of insulation available. Duct Squads offer to evaluate and remove if necessary your existing insulation and then blow in your new insulation. Let us help you find the most cost efficient way to save money and improve your home comfort. The US Department of Energy recommends adding installation to older homes, to make them more energy efficient and to help your HVAC work more efficiently and last longer. They further recommend a R30 to R60 rating for the State of Oklahoma. OG&E, will actually give you a rebate right now for upgrading your installation. Federal Tax credits are available in the amount of either 10% or $500 whichever is less. We take pride in helping improve your energy efficiency and hope you will give us an opportunity to prove it to you. We hold ourselves to a high standard of conduct and cleanliness, with the skills and experience to do the job right the first time. Contact us today for a free quote. © Owens Corning 2016. Used By Permission.